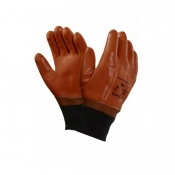 Designed to protect the hands when handling oily objects and working in oily environments, the 18-gauge Ansell HyFlex 11-926 Double Nitrile-Coated Oil-Repellent Gloves repel oil while also offering good abrasion resistance and quality dexterity. The double nitrile-coated design features Ansell Grip Technology for good grip, and the knitwrist cuff style provides comfortable and more secure wearing. The product code for the pair of gloves is: 11-926. The HyFlex 11-926 gloves are specially designed to provide excellent hand protection when working in oily environments or handling oily parts. The palm-coated finish also includes Ansell Grip Technology for enhanced grip, increasing both safety and ease of handling when working with objects coated in or touched by oil. 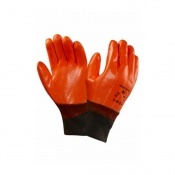 The Double Nitrile-Coated Oil-Repellent Gloves offer good abrasion resistance to protect hands from coarse objects, while also allowing hands to remain dexterous. 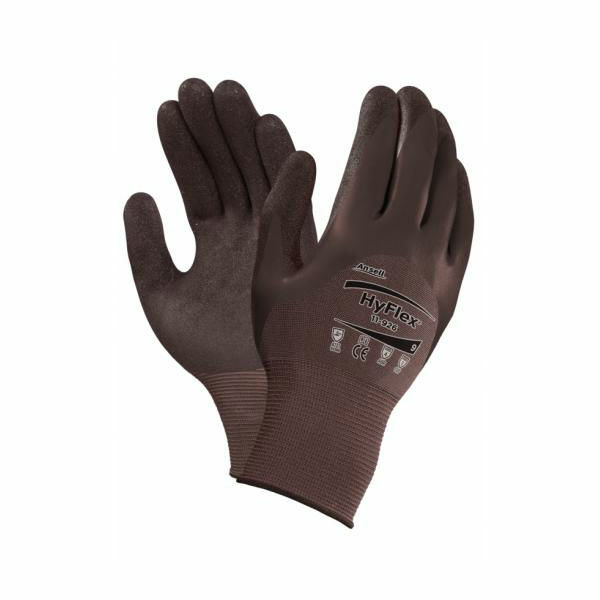 The gloves allow hands to remain comfortable while working, providing an outstanding fit and dryness with a lightweight construction and good tactility. The table below showcases the test results of the Ansell HyFlex 11-926 gloves according to EN 388 Mechanical Risk specifications. 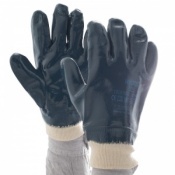 The Ansell HyFlex 11-926 Gloves are available in a choice of sizes, making them suitable for most users. Please consult the table below for details, then select the required size from the drop-down menu at the top of the page. The glove length will range from 210mm to 260mm.